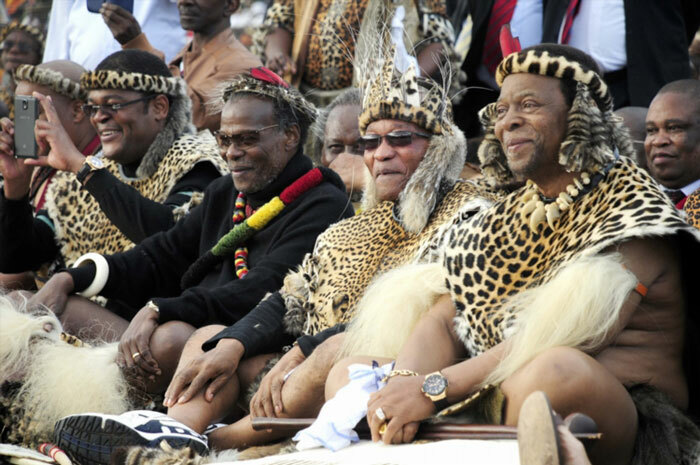 Zulu King Goodwill Zwelithini has called for the deportation of foreign nationals living in the country, saying it was unacceptable locals were being made to compete with people from other countries for the few economic opportunities available. Addressing Pongolo community members during a moral regeneration event on Friday, Zwelithini accused government of failing to protect locals from the “influx of foreign nationals”. “Most government leaders do not want to speak out on this matter because they are scared of losing votes. “As the king of the Zulu nation, I cannot tolerate a situation where we are being led by leaders with no views whatsoever. “We are requesting those who come from outside to please go back to their countries,” Zwelithini said. “The fact that there were countries that played a role in the country’s struggle for liberation should not be used as an excuse to create a situation where foreigners are allowed to inconvenience locals. “I know you were in their countries during the struggle for liberation. But the fact of the matter is you did not set up businesses in their countries,” he said. Zwelithini, who spoke from a prepared speech, which is in The Citizen‘s possession, made the remarks in the presence of Police Minister Nathi Nhleko and KZN community MEC Willies Mchunu. The king’s remarks are made against the backdrop of rising tensions between foreign nationals and locals in the wake of recent xenophobic attacks in the country. The violence began in Soweto, Gauteng, in January and later spread to KwaZulu-Natal, where it has claimed three lives so far. The DA yesterday described Zwethini’s comments as “highly irresponsible”. “Particularly given the recent spate of xenophobic attacks in South Africa, he should do the right thing – retract and apologise,” DA national spokesperson Phumzile van Damme said. The South African Human Rights Commission (SAHRC) said it was looking into the matter. “His utterances, if proven true, would border on xenophobic,” SAHRC spokesperson Isaac Mangena said.